Last minute one of the court contacted me to borrow a gown. 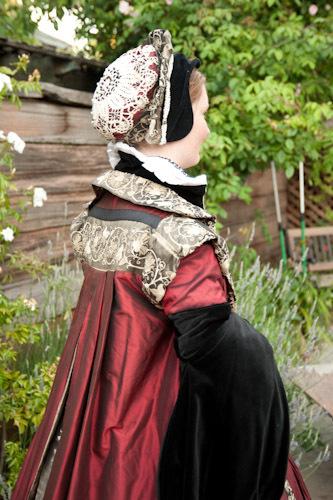 I gave her the closest thing to Tudor that I have since I have yet to make a “real” Tudor gown. I think she looks fab. This dress has enough layers that at such a hot event she can take off a few pieces here and there and still be look “somewhat” dressed. But there is no pouring water over the silk gown to cool off :( I wear linen peasants to this event. It isn’t uncommon to see temperature above 90 and into the 100s. I snuck the dress off to the ironing table to touch up a few of those wrinkles on the skirt before packing it up for the weekend. 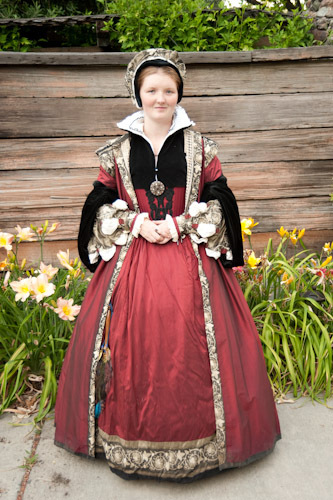 Hope everyone enjoys the faire. For not being fully Henrician, this is very beautiful and will do very nicely. 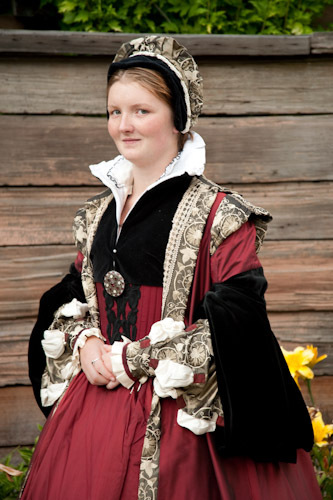 I was asked to be in court, but I just cannot deal with the heat I know happens at this faire – definitely not in my Tudors even if it is wool & silk. This was the very faire I first went down from heat exhaustion as a Scot. 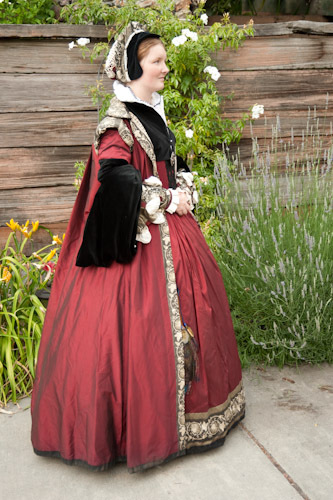 I love the faire, and I miss it terribly.